This component is part of Lubrication. The dipstick measures the quantity of oil present in the engine. 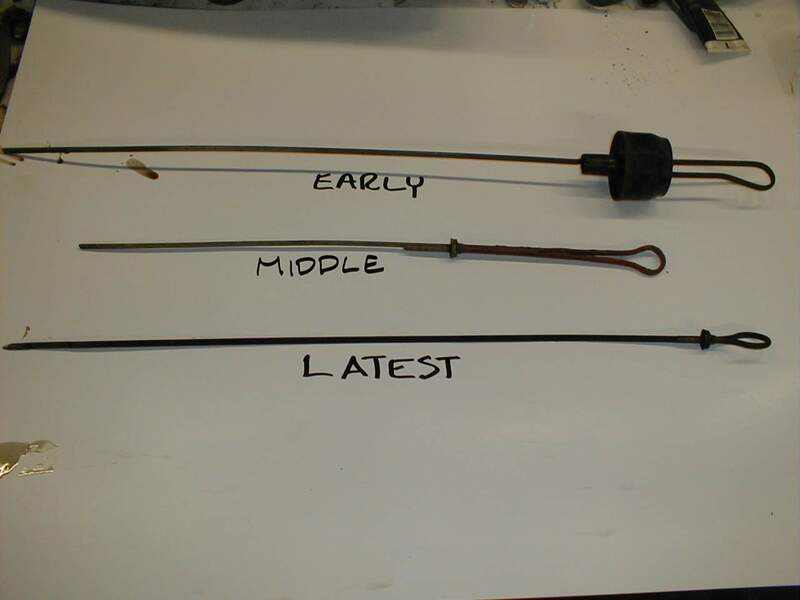 The series of Pagoda cars had a number of different models (and, confusingly, lengths) of dipsticks. Needless to say that having the wrong size dipstick is not a "good idea". There are at least three different dip sticks on the W113 engines. If it fits you have the right one, since they are radically different and will not interchange. The earliest had a large oil tube and air filtered vent built in the dip stick (early 230-SLs), and is stamped "220SE" reflecting it's heritage. Next came the small tube and short rigid dipstick with no filter vent (230-SL, 250-SL probably early 280-SL also. Lastly came the long small tube with the longer flexible dip stick (later 280-SL). None of these will fit in the incorrect engine. View all three types below!